Mukesh Sharma: The Jan Andolan party has newly organised its Parja Patta demand committee. The JAP party since its formation have picked up the demand of land right of Cinchona plantation, Tea estates and forest dwellers . The party sat on a dharna at DM office Darjeeling in the beginning of the year . 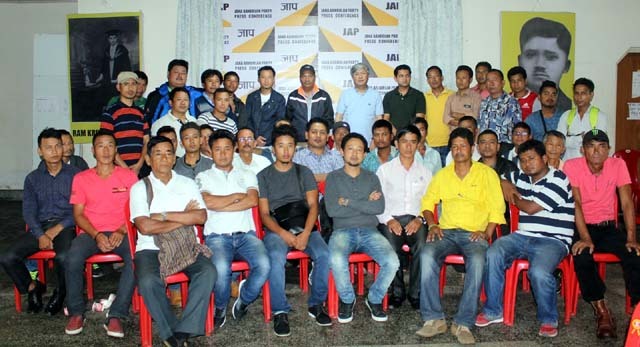 But during election juncture the convenor of JAP PPDC joined GJM after which today the party has newly organised it PPDC again. In a meeting held at JAP party office here where worker working in Cinchona and Tea estate from hills different part attended . 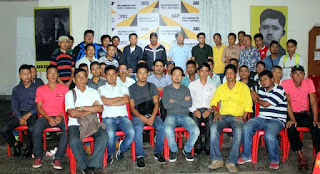 After the meet Amar Lama , Bureau member of the party informed that 2 convenor veteran L M Sharma for Rongo and Bijay Moktan from Munsong have been chosen from Cinchona while Pranay Chhetri from Tista Takdah Valley and Sujan Rai from Gorubathan have been chosen as assistant convenor from tea garden side . He said GTA does not have the authority to give parcha patta . They are holding gate meeting nowadays compelling the workers / laborers’ associated with JAP to compulsorily attend the same . Our supporters are affiliated to Chiya Cinchona Jana Sramik Sangathan a trade union which registration is under process. He added that our workers and labourer have been continuously threaten by Trade union of GJM that they would omit their name from muster roll. We have given our supporter a application for relaxation of Gate meeting conducted by GJM affiliated trade Union to submit to the Tea and Cinchona authorities respectively. He added that a mass signature campaign will be started . We have made a format of Parcha Patta type document where workers will mention the place their mouza and plot no respectively which they will sign. After collection we will submit the mass signed copy to State government . The Jan Andolan party has newly organised its Parja Patta demand committee. The JAP party since its formation have picked up the demand of land right of Cinchona plantation, Tea estates and forest dwellers .